In March 1998, Pfizer Inc. launched the first pill for impotence that became very popular after early TV advertisement and turned erectile dysfunction (ED) into a publicly discussed issue, rather than a private problem that was concealed. Since that moment, Viagra became very popular, and everybody who watches TV knows about “magic blue pill”. It brought Pfizer about $1.5 billion in global sales last year and is one of the company’s biggest sellers. On December 6, Pfizer announced that they will launch sales of a generic version of Viagra called sildenafil nitrate. It will hit the pharmaceutical market on Monday, December 11 this year and will be availbe at drug store near your location. Unlike it’s expensive branded version, Pfizer’s sildenafil nitrate (25, 50, and 100 mg tablets) will be twice as cheap and more people will be able to afford it. New York’s Staten Island University Hospital urologist, Dr. Nachum Katlowitz, said that patients were paying fortunes for Viagra and when a generic version of it is released, they would be very happy. This decision seems to be strange, since Pfizer has a patent to manufacture and sell Viagra in the U.S. pharmaceutical market till April 2020. It means that no other company can make a generic version of Viagra until Pfizer’s patent expires. The company’s decision to produce a generic version of one of its best sellers can be explained by its wish to stay competitive when other companies will launch their own products with the same active substance. One of the companies is Teva Pharmaceuticals. Unlike other companies, it has a right to sell their generic version from December 11, 2017, or earlier under certain circumstances. Pfizer and Teva have signed a settlement that made it possible in 2013. Terms of the settlement are confidential at the moment. Teva will pay a royalty for a license to produce a generic version and obtained a tentative approval from the U.S. Food and Drug Administration (FDA) for it. However, pricing for Teva’s medication is still unknown, unlike Pfizer’s sildenafil. 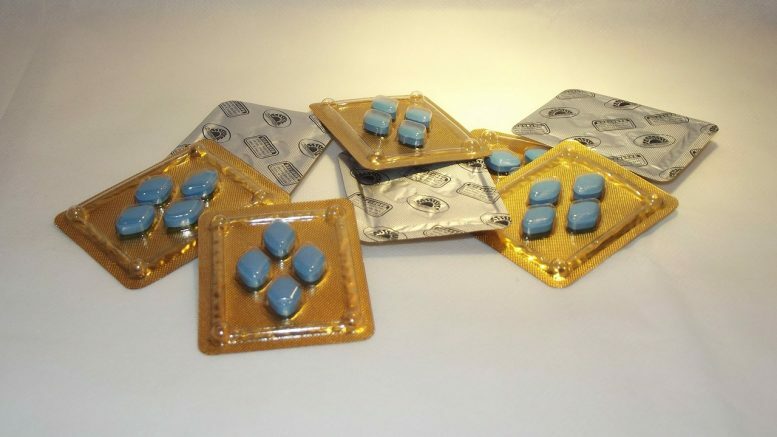 Over the past 10 years, the retail price for Viagra increased from $10 to $62 per pill. The retail price for the blue pill is $65 at the moment because of additional fees from pharmacies and third-parties. The generic version will cost only $32.50, which is half-price. With customers who would use the generic version instead of the branded one, Pfizer also wishes to retain those customers, in addition to those who wish to stick to the branded version of sildenafil. For uninsured men, Pfizer is going to launch Pfizer Direct program. This program will allow men without insurance to get their medication online with a discount. For those who have insurance, the company will give a monthly prescription (about 10 pills) depending on the plan they have. A urologist at the Northwestern Memorial Hospital in Chicago, Dr. Hofer, said that patients who use Viagra at the moment would prefer to use the same medication instead of its cheaper alternative, especially if discounts and good deals are available. He added that his patients will be ecstatic if they will be able to save some money on a brand product from Pfizer. Some of the healthcare providers have some concerns about the possible effect of low-priced Pfizer sildenafil pills. They think that a lot of people would prefer to buy cheaper pills instead of using other non-pharmacological ways of ED treatment. Physical activity, decreasing stress, and other lifestyle changes are far more difficult and take more time than simply popping a pill. However, pills should not be used as the first option in ED treatment, since they can help in masking real health issues that cause ED. Also, pharmacological ways of treatment should not be used as long-term ones. Be the first to comment on "Sildenafil, Pfizer‬‬‬‬‬ – Generic Viagra Release"